Let’s face it, even if some of us may say money doesn’t buy happiness, we still think it comes in handy (it pays the bills, it buys you food, and clothing), especially when you come at a certain age and have to retire. 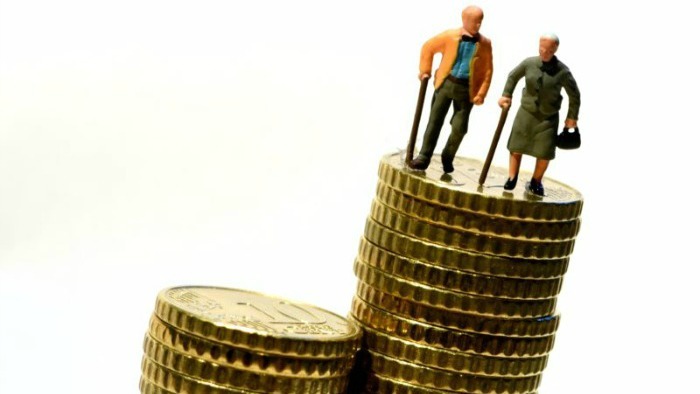 Lucky for us Aussies, we have the chance to secure our futures upon retirement with the help of SMSFs. However, considering the fund itself is a form of investment, it’s important to get well informed on it to be able to make the right financial step. This primarily refers to the structure you’re willing to steer to. Now, as you might know, there are two options as structures to be able to form this superannuation, either based on individual trustees, or make use of the corporate trustee SMSF structure, the one based on having a “Special Purpose” company as the trustee. If you do a bit of search, you’d come across a great deal of results showing you most of the SMSFs, and most people, are in favour of individual trustees as the amount has increased up to 80% of individual trustee based SMSFs in our country. And yet, this article is going to show you why you should opt for the corporate trustee Smsf structure. Although people are first drawn to the individual trustee structure because of the lesser fees, as of late, there’s been a decrease in the fees of establishing corporate trustees to half of its initial amount. Even though the ASIC (Australian Securities and Investments Commission) annual review fee (maintenance) got to $48 from $45 two years ago, it’s still nothing alarming. You can get the help of registered tax agents who can also take care of your annual return documents. While with the individual structure it’s not allowed for you to have a sole member but at least two to run the fund, this isn’t the case with the corporate structure since one person can be both the sole director and sole member, so you can have a sole member fund. This in turn also makes it easier in terms of lifespan; a company is indefinite, whereas individual trustees pose a great deal of more fees and documentation upon death. Even at the cessation of a membership, and you stop being the sole director, the assets stay in the name of the Company, which isn’t the case with individual trustees where each trustee gets the assets of the person that’s no longer a trustee. Then again, you also have greater freedom with property investing, and planning, considering the trustee (the Company) remains unchanged upon the death of a member. Bear in mind, though, the corporate trustee of an SMSF can’t be a corporate trustee of a bare trust. In case of a contravention, a penalty is imposed once for every contravention, different from the penalty regime for individual trustees where each trustee gets fined for each contravention, which means there’s immediate increase (double, or tripple depending on the number of individual trustees) in penalty. Great news is, even if you’ve opted for the individual structure, you can still change to corporate trusteeship by signing a new Trustee Declaration, completing a Trustee Consent, and Minutes Change of Trustee.